A new restaurant has opened in Marlow called The Ivy Garden. The interior is quirky and shabby chic which I love with exceptional waiter service and interesting food. We booked into the restaurant for my Mums birthday. There are plenty of lovely places to eat in Marlow with lots of quirky restaurants & bars along the high street. You will never run out of places to try. I ordered their Mixed Berry Smoothie which has strawberries, raspberries and blueberries. It was yummy and really cooling – perfect for a warm day. I then ordered their HLT Sandwich which was delicious. The HLT sandwich is essentially Halloumi, Lettuce and Tomato sandwich served on sourdough bread with avocado, black olives (which I asked for them to be taken off). And red peppers with a herb mayonnaise sauce on the side. I also ordered their Thick Cut Chips. I unfortunately didn’t have enough space for a dessert to try as I would have loved to have tried their Chocolate Bombe or the Blackberry Ice Cream Sundae. You can see the menu here! 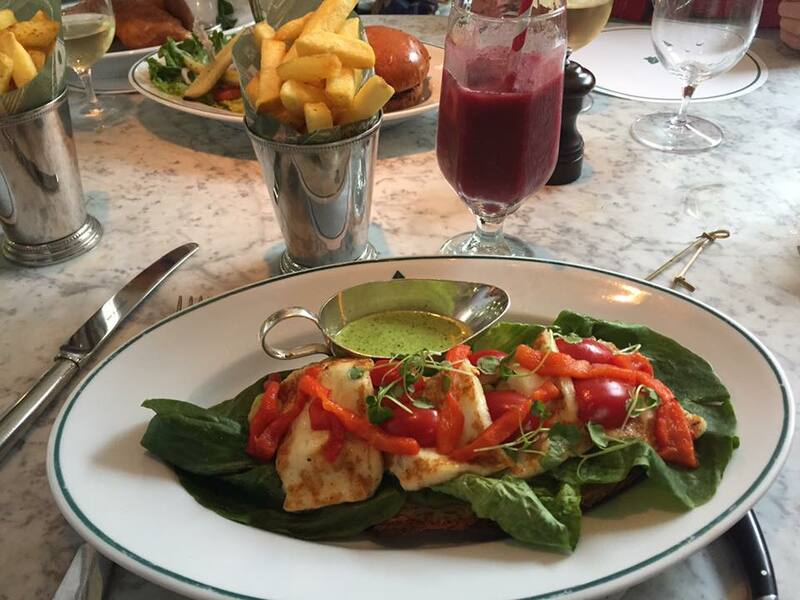 Have you tried a The Ivy restaurant yet? Thinking of trying one? !